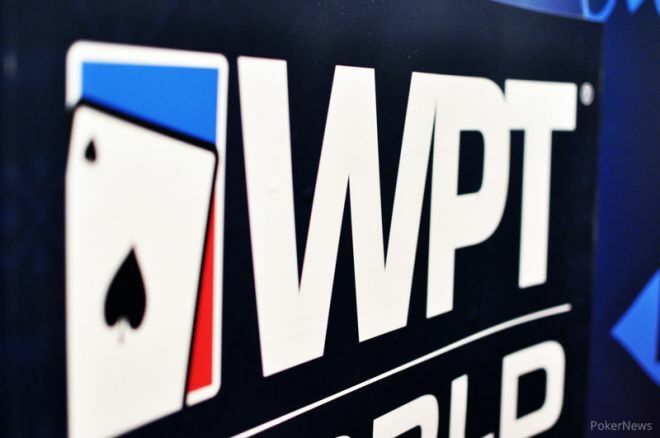 There are still two stops left in Season XIII of the World Poker Tour — the WPT Seminole Hard Rock Poker Showdown (April 16-22) and the WPT World Championship (April 25-29) — but the tour is already thinking ahead to Season XIV. Their next season will kick off in less than a month right here in Canada with the partypoker.net WPT Canadian Spring Championship, which will run from May 1 - 6 in Montreal, Quebec, at Playground Poker Club. The $3,500 buy-in WPT Main Event will feature two starting flights with next-day reentry. That means players who bag on Day 1a may also play Day 1b, forfeiting their smallest stack in those instances when they bag both. "Alongside partypoker, the World Poker Tour is proud to kick off Season XIV at Playground Poker Club, a first-class property that offers an unparalleled level of hospitality to our players," said WPT President Adam Pliska. "In four WPT Main Tour events over three consecutive seasons, Playground has generated a combined prize pool of more than $10.5 million, and we look forward to yet another massive turnout this May." The partypoker.net WPT Canadian Spring Championship is the headline event of the 16-event Playground Poker Spring Classic, which kicks off on April 19 and will hold such events as The Wild $150, a $150 buy-in, $100,000 guaranteed event; a $250 buy-in $200,000 guarantee (April 24); a $1,000 buy-in WPT Warm Up (April 29); and a new $1,650 buy-in Second Chance. "Spring is my favorite time of year, with so much poker action on the calendar," said Playground Players Club member Antonio Esfandiari, who will be in attendance. "What better way to kick it off than at one of my favorite places to play. I love Playground — I love the staff, I love the service and I love the city of Montreal." As for the Main Event, players will be presented with numerous options to either buy-in or qualify. For instance, direct buy-in is available 24 hours per day at Playground Poker Club, and players can also buy-in online at www.playgroundpoker.ca. Additionally, players can qualify directly at Playground via the MegaWheel (a cash game player will periodically be selected to spin for a chance to win various prizes), Tournament Leaderboard (three seats will be awarded in a monthly Tournament Leaderboard Freeroll in which the top 30 point earners will compete), or in one of several live satellites. Qualifiers are also live on partypoker.net, where players can win a $4,500 partypoker.net WPT Canadian Spring Championship package for as little as $5. For more information, head on over to worldpokertour.com.